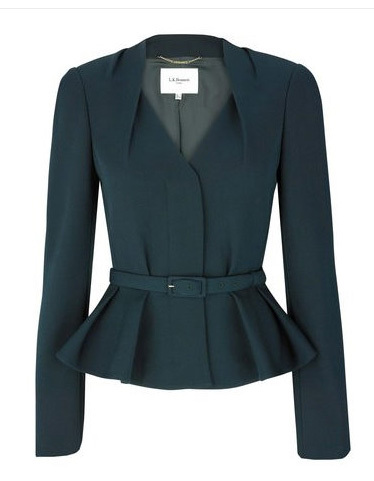 This fitted, peplum blazer is 100% wool and features deep folded pleats around the v-neckline. Matching belt included. Retail: £295.